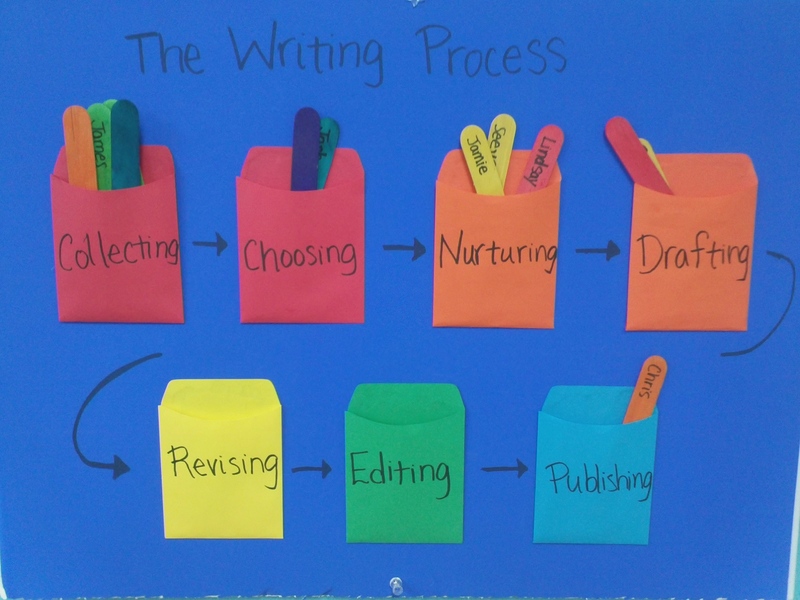 I was inspired by Melody’s post about charts to share some fun charts and visuals in my classroom that I use for writing workshop and reading workshop. I admit, I need to work on making them more creative like chartchums. Here’s a chart that can be used across different units of study in reading workshop. Right now we are doing a unit on asking critical questions. During our read aloud time, we did a stop-and-jot. I read aloud to my students, then say stop-and-jot. The students jot down on their post-its their thoughts. I did that about three times during the read aloud after significant parts of the text. 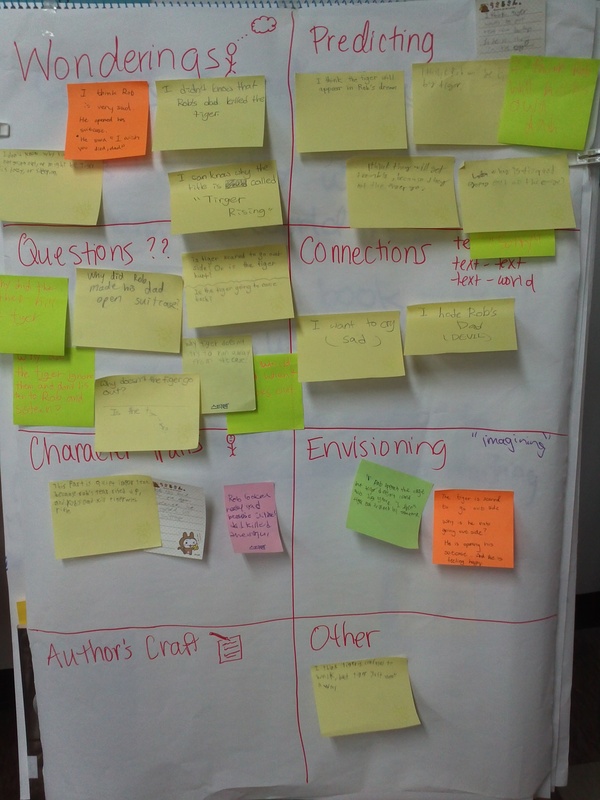 At the end of the read aloud, I had them put their post-it notes in the category that it fits in. The different categories are: wonderings, predicting, questions, connections, character traits, envisioning, author’s craft and other. Chart to track students' thinking during reading. 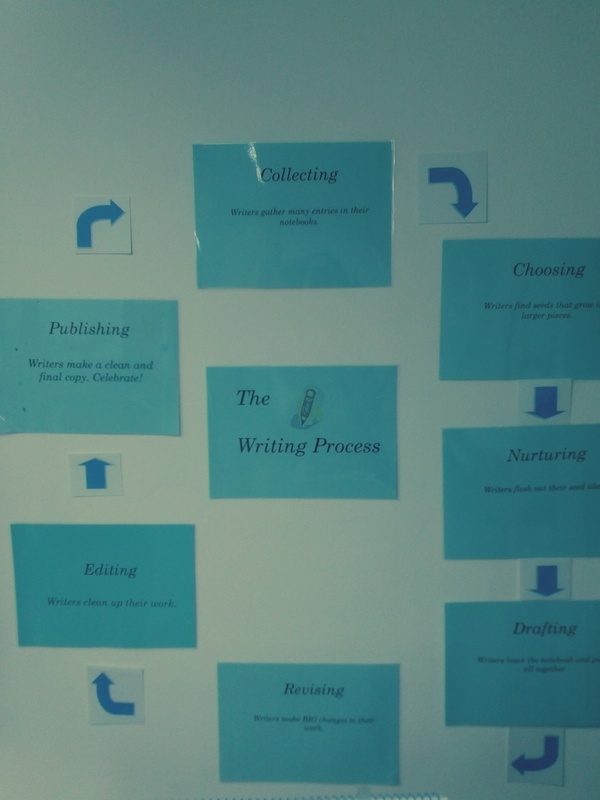 Here are a few other visuals I have in my classroom for writing workshop! Write students' names on popsicle sticks and have them move it as they go through the writing process. 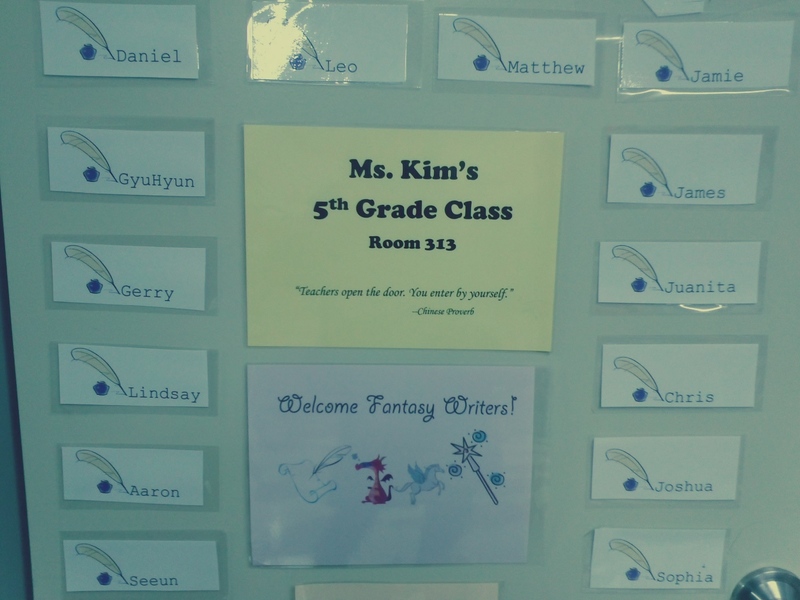 A fun way to get students excited about writing fantasy stories! I love the “stop and jot” idea during read aloud! I am totally doing that.